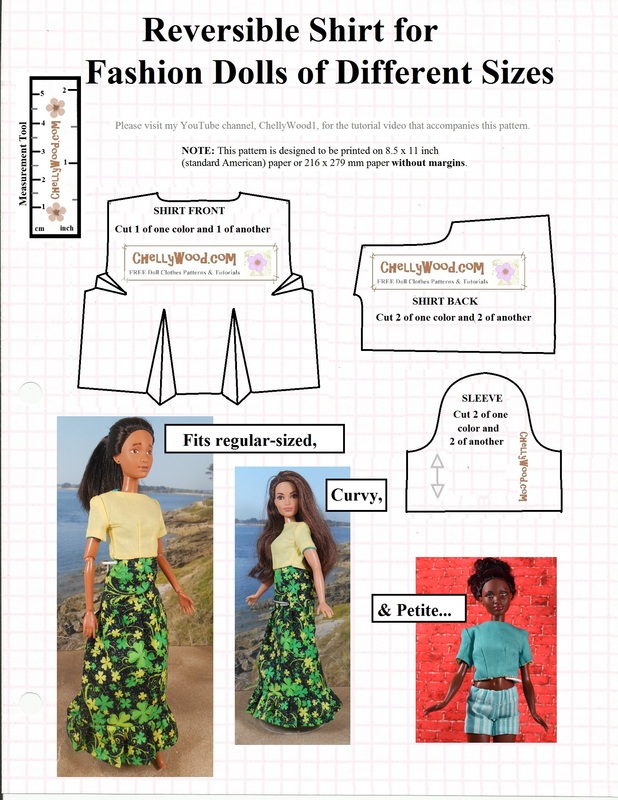 Click here for free printable sewing patterns and links to tutorials to make this outfit: (coming soon)! Incidentally, these patterns can also fit regular-sized fashion dolls. And that’s it for this week. Please show your appreciation for my free patterns and tutorials by liking them on Facebook, pinning them on Pinterest, and/or tweeting about them (yes, you have my permission). You’re also welcome to add any of my YouTube channel’s videos to your playlists. I just feel rewarded when people share my creations! You are talented! I like your tutorial, it’s clear and detailed. Every girl has a dream of becoming their own fashion designer. I think I can make my “personal design” for my Barbie doll.